Quite frequently any Tamil talking about democracy is given short shrift with the retort that he is talking nonsense, because there is no democracy in Sri Lanka. The response achieves two things. It absolves the person saying it from taking responsibility for improving the quality of democracy that obtains. Secondly, it exonerates the Tamil elite from being answerable for their outrageous complicity in the destruction of their community. Their argument is that since Sri Lanka is undemocratic, the methods of the Tigers cannot justifiably be criticised. But then, was not the rationale for the Tamil liberation struggle that Sri Lankan governments have very low standards and that the Tamils should liberate themselves and establish a society with the highest standards? The rationale for the Tamil liberation struggle should not be turned into a rationale for fascism. This rationale was closely tied to what was in origin the democratic idea of self-determination. It came from a desire for greater control over our collective life, more equitable opportunities for our children, and to be free of arbitrarily discriminatory policies that had nothing to do with the long term interest of the people of Sri Lanka. Are not child soldiers against a regime of internal repression, murder, and despotism, a parody of the aims of the struggle? 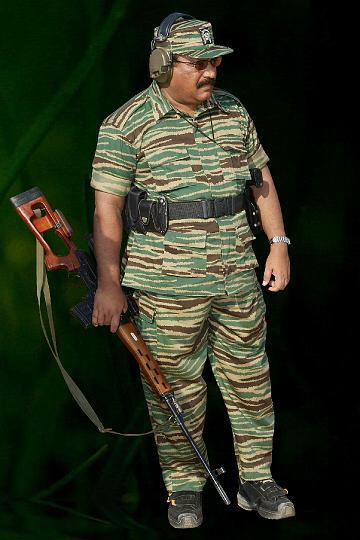 Only the elite having no appreciation of the sacrifices made by the people, and by thousands of militants with a deep sense of decency, can glibly argue that the LTTE is right because there is no democracy in Sri Lanka. In fact, a large number of these decent people were executed in the LTTE’s torture camps. To regard their deaths as a non-event has become fashionable among NGOs and peace groups courting the LTTE, not wanting to see its true nature. But for Tamils themselves to do so, would be an act of supreme insensitivity and ingratitude. The crimes against dissidents have made the deaths in the ranks of the LTTE meaningless – yet another crime by the same authors. They died as hostages of fascism. The fate of the Tamils has nothing to do with democracy in the abstract, but rather with the denial of the most basic democratic freedoms. These being the right to exercise parental responsibility, to insist that children should not be cajoled into soldiering, and the right to voice collectively their demand for peace and democracy and respect for basic humanitarian norms. These are blatantly denied to Tamils in the North-East, not by the Government, but by the LTTE. Killing the voices for democracy and basic human norms, amounts to genocide inflicted on the society as a whole.